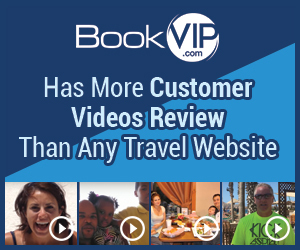 Because each and every customer is valued here at BookVIP, you were contacted by a supervisor as soon as we received your review in an effort to finalize one of your dream vacations. As it turns out, both of your open-dated vacation packages were not even charged. The worst experience ever, nothing but a scam. I made two reservations and for some strange reason they can't find my information. I submitted my confirmation number, phone number and email address. I explained to the agent I have bank statements and email confirmation as proof of purchase. She asked me to send the email confirmation and she would call me back...well guess what she has not call me back. I will be filing a claim to get my money back. Review #994289 is a subjective opinion of User994289.